Fish Sense Lures home of the Binsky Blade Bait. 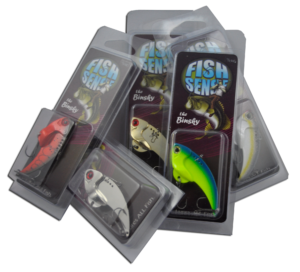 Fish Sense Inc. is a family run company created by real fishermen like yourself who are dedicated to creating lures that produce great catches and good times on the water. Fish Sense, Inc was established in 2007. It is the inherited passion from fellow anglers like ourselves that we use to create our products. We strive to bring innovative lures that will improve your catches and outperform the competition. The first of those is The Binsky, the hardest working blade bait on the market. With it’s superior vibration , 3D eye, and realistic shad design there is no predatory fish the Binsky cannot provoke into being at the end of your line. President Stephen Carey is a lifelong angler spending time on the water fishing tournaments and keeping up with the evolution of today’s artificial baits. 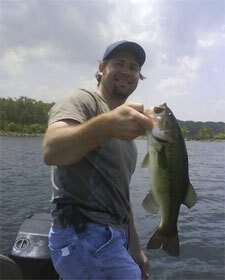 One of Stephen’s most noted accomplishments was being the first angler from New Jersey to enter a bass into the Texas Share Lunker Program in March of 2007. With ideas needing to be brought to light VP Eric Habrack came in with an unrelenting commitment to quality and the drive to become a progressive influence on the fishing community. 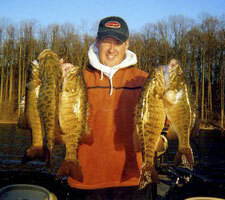 From this partnership emerged a company and an attitude, Fish Sense, Inc. How does a successful day on the water start? With Fish Sense, it is a state of mind from which key decisions are made. Without a doubt when you have Fish Sense, YOU have the EDGE.